The project, “Architecture for Dogs”, which 13 architects and designers from inside and outside the country took part in…. This exhibition is now being held in LBMA/Long Beach Museum of Art from June 20th to Sep. 3rd. Please visit there during a summer holiday. NOW, DIY-kit of “wanmock” by TORAFU is actually the first kit-product and available at the museum shop of Long Beach Museum of Art. 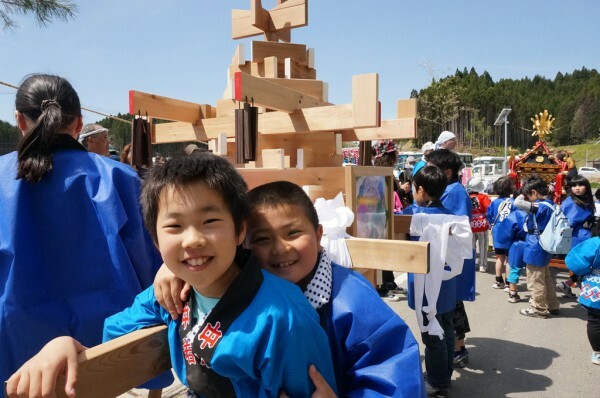 The Children’s Mikoshi (meaning, portable shrine) was finally completed. It is designed by TORAFU and produced by Ishinomaki laboratory. 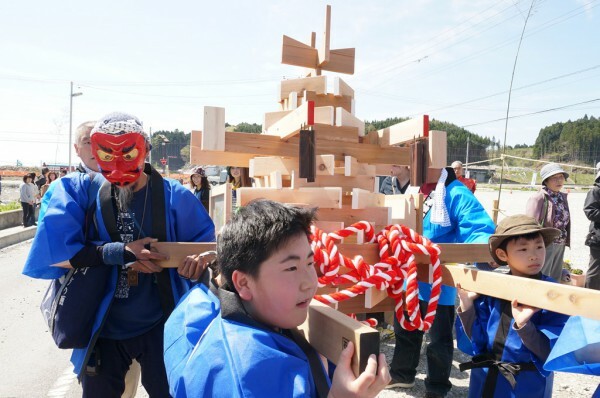 The Children’s Mikoshi of Utatsu area, Sanriku (located in Miyagi prefecture, Tohoku region of Japan) was carried away by the Tsunami of the Great East Japan Earthquake (2011). 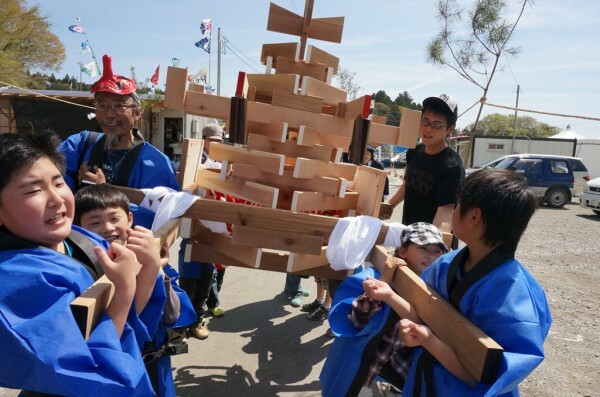 So this project aims to provide and present a new Mikoshi for them. 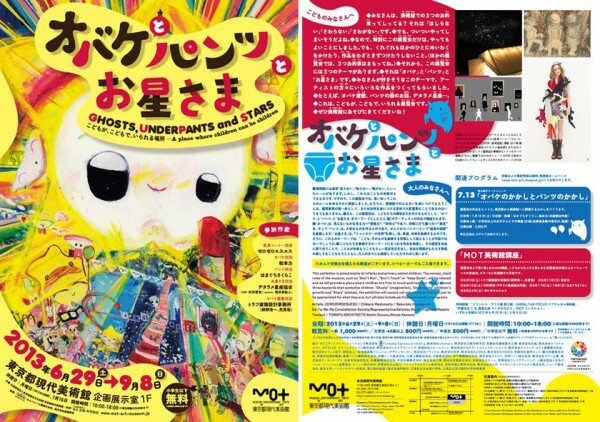 This idea was funded by a profit of the DVD (titled, “Okuno-Hosomichi 2012”) produced by the journalist, Daisuke Tsuda. 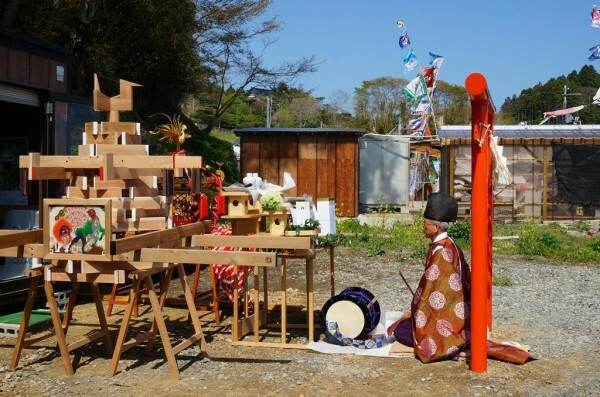 It is made of Ishinomaki laboratory-like wooden materials and is designed on the theme of “connection”. The whole structure is made up of small parts supported one another. Like this image, the Mikoshi was created with a wish that people should support each other. 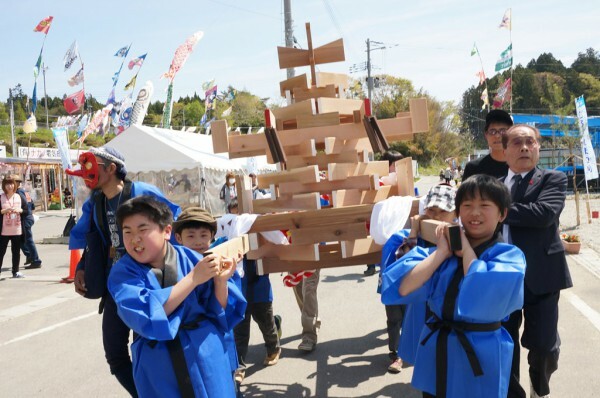 We take the form of the Mikoshi, adopting a traditional shape such as the roof and a phoenix on the top. It was made of deck materials. On the left and right sides, the panels illustrated with a picture of the Shishi-mai (a lion dance) and the sea dragon by painteran artists are attached. 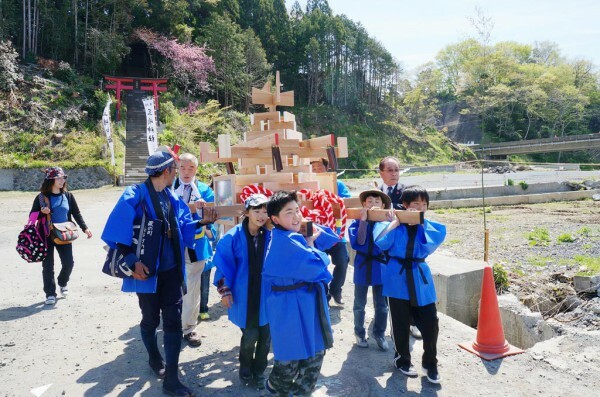 Through the process of being used in various situations hereafter, we hope that this Mikoshi will make a chance to extend the local connection eternally. *Attached photos show a scene of Oneri (parade) and dedicating the Mikoshi to the shrine at a festival celebrating the completion of the Kakegawa Dam.